Stalking your latest PI job through the streets of Paris you pass several cafés, resisting the temptation to enter each one and have a small snifter of Cognac. Then, suddenly, you spy your quarry darting into a small alleyway. Quickly, you begin to cross the road eager to catch him before he slips through your fingers again. Listen! Do you hear that? That soft sigh of pleasure? That small ‘squee’ of excitement? 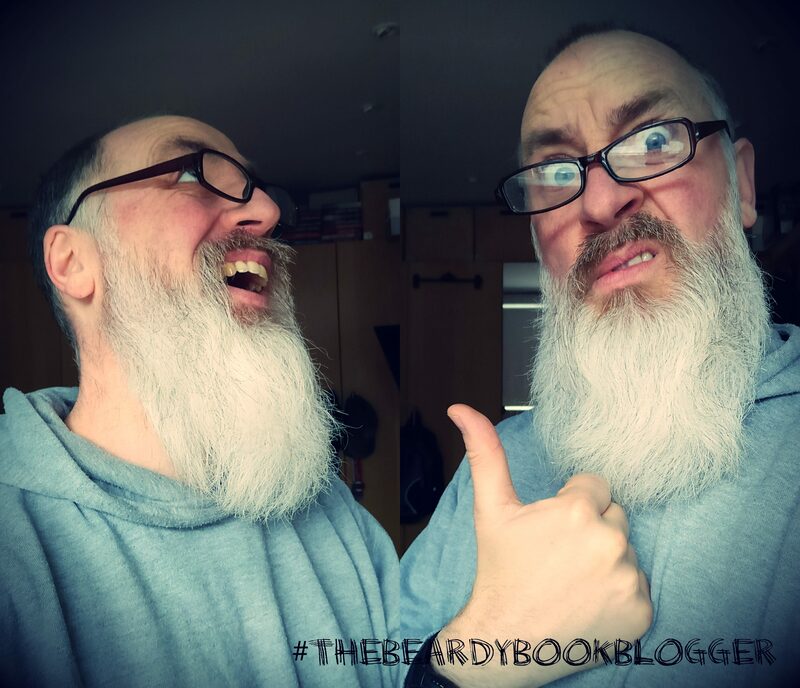 That, my Beardy Blog fans, is me. It is me expressing the sheer, unadulterated joy of reading a new Salazar adventure. You must know that feeling, right? When you discover a new book, a new author, a set of characters that you just can’t wait to return to. That was I after reading Seth’s first Salazar adventure, ‘A Citizen Of Nowhere‘. You can read what I thought of that here. I think that it is pretty much safe to say that in A Dead American In Paris (which, from here on in, I shall refer to as ADAIP as I cannot be arsed to type A Dead American In Paris over and over again. I mean, who could be bothered to type A Dead American In Paris throughout a whole review about a book titled A Dead American In Paris? Exactly, no one. So, henceforth and hencewith and hencethat, A Dead American In Paris shall be known as ADAIP. Lovely 😊 ), Seth has once again delivered the goods. He wastes no time in getting to the meat and two veg of the story (although there wouldn’t be any meat as Salazar, and, Seth, are both vegan. So, let’s say seitan, or other meat substitute of your choosing, and two veg), as our hero, Reggie Salazar, stands in a small apartment in Paris in 1931, where a man was previously found dead, slumped over a table with a knife sticking out of his back. He has been tasked by the father of the man arrested for his murder to prove his son, Harry Fulton, is innocent of the heinous crime. Was this a Crime of Passion or is there something more sinister at play? The hunt for Arty Homebrook‘s killer – for it is he who has expired – leads Salazar to some decidedly dark and dodgy places and the very best and very worst that 1930’s Paris has to offer. New fangled automobiles are also rising throughout the city, belching their smoke into the Parisian air and generally making a nuisance of themselves. All highly inconsiderate; they’ll never amount to anything. Seth’s Paris is a wonderfully evoked city, full of life and low-life. Salazar stumbles his way from café to café, smoking his beloved Gitanes, drinking wine and/or Cognac and smoking the odd reefer, until he passes out and falls over somewhere. Throughout all of this though he is also a determined Private Detective, not really caring whether his client is innocent or not, but caring very much that justice is done one way or the other. Alongside Salazar and Megan, ADAIP reunites us our favourite characters from A Citizen Of Nowhere: Salazar’s landlord, the chess loving Marcel Filatre; Filatre’s paramour, and Salazar’s aunt, Bess; and Salazar’s ever reliable helper, Hervé. We also have new addition, Chief Inspector Belmont of the Paris Police. Belmont stars in his own book, The Paris Ripper, one I’ve yet to read, but he is already a favourite of mine. Who cannot help but like a policeman who likes a drink or three, or four, whilst he’s on the job? Seth Lynch: *probably* not as old as his evocation of 1930’s Paris suggests that he should be. You can probably tell that I bloody adore this book, and it’s predecessor, with all my heart. Seth has created a set of characters, and a period city setting, that truly draws you in and fully immerses you in its world. I really wish that I had a time machine, or was able to ‘Bookjump‘, Jasper Fforde stylee, straight into the world of Salazar and live in this world for a time. Sure, I wouldn’t want to stay there – WW2 is just around the corner – but oh to savour the atmosphere, the cafés, and to spend some time with Salazar himself, would be truly wonderful for a while. BUY THIS BOOK, YOU MOOKS! Mart, this is ‘extra special’ brilliant! Thank you so so much. I’m off to buy a copy….! But you’re organising it, lol, but fair enough. I don’t ask for freebies either, unless it’s for a review or a tour, and even then I’m happy to buy it.